Botswana Alcohol Policy Alliance (BOAPA) formed on the 2nd of December 2014. SAAPA chair Savera Kalideen: - The intention is to provide public health NGOs with a good tool to serve as strong advocacy voices for a ban on alcohol advertising. 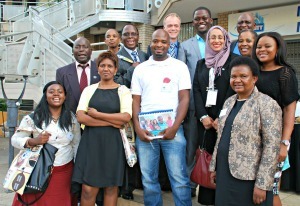 At a function in downtown Gaborone, Botswana a new policy alliance and an NGO manual on alcohol advertising was launched in the presence of the Ministry of Health. - We need strong civil society voices in the alcohol policy field, commented the Deputy Permanent Secretary Mrs. Shenaaz El-Halabi on behalf of the Ministry. The number of national alcohol policy alliance for civil society organisations is increasing in the Southern Africn regiona. The latest of these, the Botswana Alcohol Policy Alliance (BOAPA), was founded on the 2nd of December in Gabarone. This happened in conjunction with the Southern African Regional Alcohol Policy Forum taking place in the capital of Botswana the first days of December. Local Batswana NGOs were hosts for the forum and used the opportunity to formalise their collaboration by forming a national alliance. Such alliances are already established in Lesotho, Mocambique, Malawi and Zambia, and the next is expected to appear in Southern Africa. These national alliances, together with individual resource persons, form the Southern African Alcohol Policy Alliance (SAAPA) which now has been in existence for around two years. Already a few hours after its formation, BOAPA got an opportunity to present themselves to the national authorities represented by the Deputy Permanent Secretary Ms. Shenaaz El-Halabi from the Ministry of Health, Department for Preventive Health Services. She was accompanied by Dr. Haruna Baba Jabril, Acting Director in the Department of Public Health. 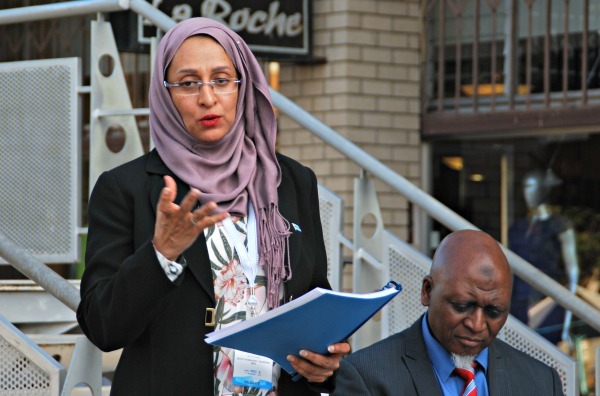 Ms. El-Halabi conveyed greetings from the Minister of Health and reconfirmed that alcohol policies and alcohol prevention is still high on the agenda of the President and the Government of Botswana. The group photo shows BOAPA members together with the representatives from the Ministry of Health and the secretary of the Global Alcohol Policy Alliance (GAPA). The SAAPA chair, Savera Kalideen from South Africa, introduced the alcohol policy work done by NGOs in the region. – Our discussions among SAAPA member organisations show that there are many common agenda points in our region, issues that have critical relevance for many countries. The aggressive marketing by the alcohol industry is one such challenge, Savera Kalideen said. – We need to counteract this from NGOs which are concerned with public health, welfare and development. In particular it is critical to raise the issue of a ban or strong restrictions on alcohol marketing. Kalideen concluded by handing over to the Deputy Permanent Secretary El-Halabi the first copy of a new NGO manual on alcohol advertising produced by SAAPA. Said Savera Kalideen: - The intention is to provide public health NGOs with a good tool to serve as strong advocacy voices for a ban on alcohol advertising. El-Halabi responded by making reference to the WHO Global Strategy to Reduce the Harmful Use of Alcohol which recommends restrictions on alcohol marketing. – We experience aggressive marketing for alcohol, and the new manual is an excellent tool to understand and address the issue, said Ms. El-Halabi.